WOW! 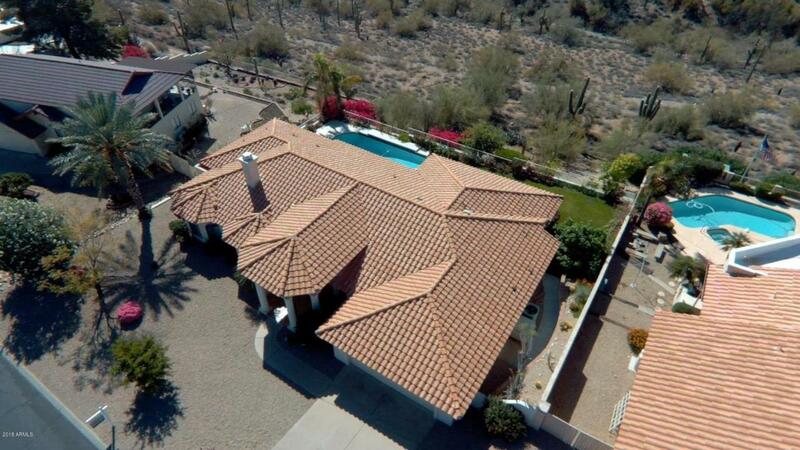 You will simply be amazed by the gorgeous views that go on forever from this mountain-ridge lot custom home, with views of the Fountain Hills Fountain! 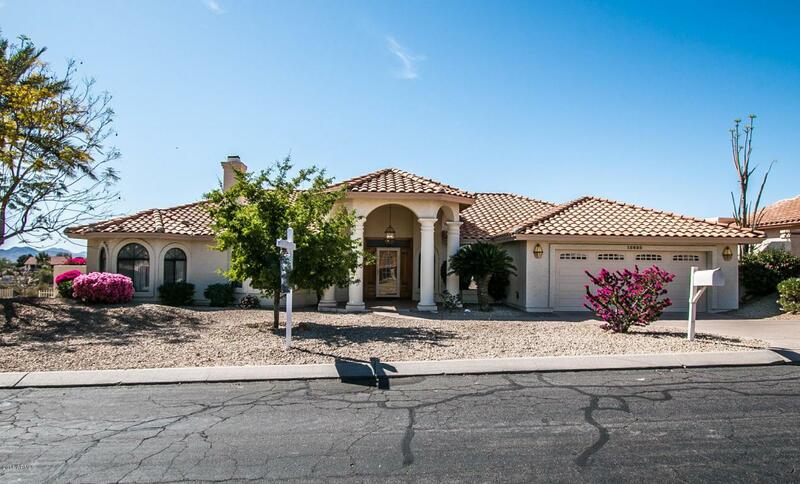 Very open, bright single-level floorplan with an enormous Great Room with high vaulted ceilings, fireplace, and wet bar. 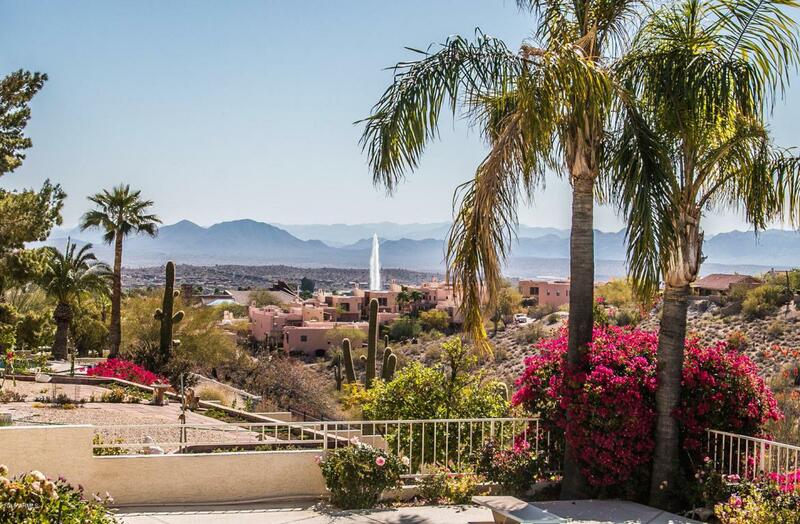 The ''star of the show'' is the dramatic views available from the perfect-for-entertaining backyard, with a sparkling pool/spa, access to desert wash, and views of the Fountain. Potential 4 bedroom/2.5 bath split layout [one room currently shown as open den]; includes two master bedrooms/baths! Custom upgrade details t/o: newer roof, island kitchen, multiple bay windows; coffered ceilings; central vac; garage cabinets; and lots more! 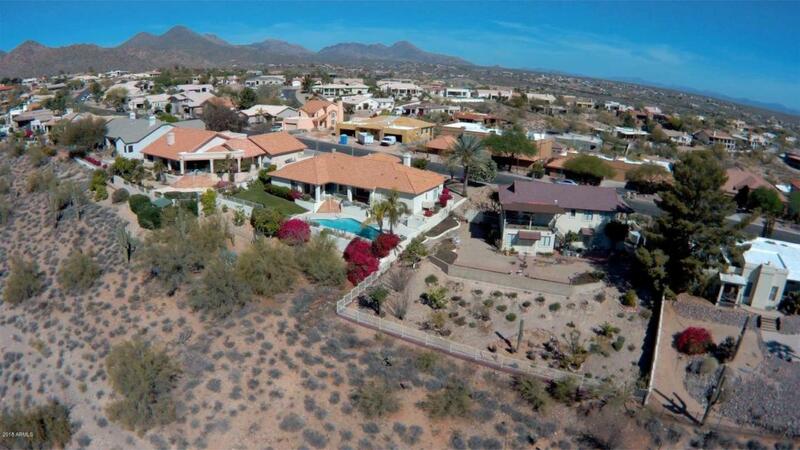 This is exactly the views that Fountain Hills is world-famous for; don't miss it!